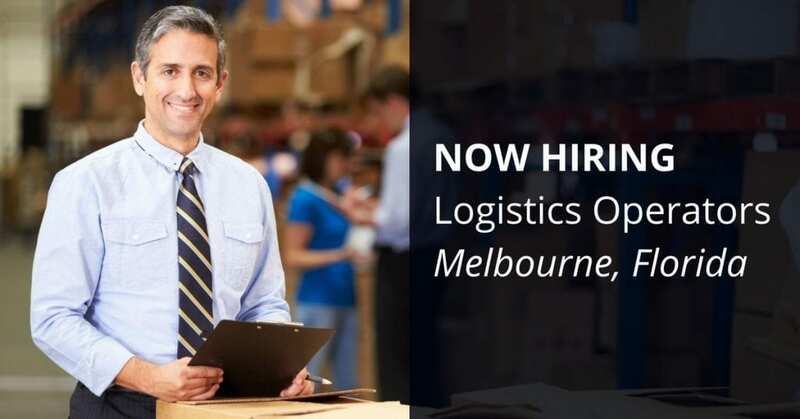 STS Technical Services is hiring Logistics Operators in Melbourne, Florida. Performs a combination of warehouse, shipping and/or receiving tasks, as well as tracks company inventory. Research information pertaining to incoming shipments. Arrange delivery of parts offsite or customer pick up. Analyze basic material movements to locate parts, serial number, and quantity change. May be required to handle shipping and receiving of hazardous material. Assignments require basic knowledge of a technical or functional area. Rapid learning and application of new information and concepts within the functional area takes place. Ability to multi-task, multi-functional, and a team player.